Today hardwood floors can be cared for with minimal effort and in many cases, a little preventative maintenance will keep your timber floor looking beautiful for years to come. 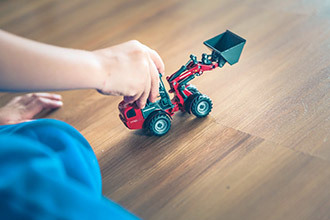 To determine the type the type of floor maintenance regime and floor cleaners suitable for the type of floor finish you have on your timber floor, select your floor finish type from the options below to view the appropriate maintenance guide. No matter what kind of floor you have, or what type of finish used, there are certain steps that must be taken to maintain the beauty of the timber floor. Regular or daily maintenance requires little more than sweeping with a soft bristle broom, or vacuuming with a soft floor attachment. The floor surface should be cleaned regularly with a timber floor cleaning product recommended by Synteko. Please contact us if you have any questions.